Let me set the scene, I am due to fly to Canada in just under 3 days with my mother. She for all her good points is a vegetarian and I had neglected to order the vegetarian meal during booking. I tried and failed to amend this last week as the site wouldn’t change meal preferences after booking. I had told my mother to pack food and have a big breakfast day of the flight but then I though maybe I should reach out and see if the air line (Delta) could help. Now I have heard plenty of horror stories about air lines customer service over the year. However I was pleasantly surprised that they had responded by the time i re-checked twitter (no more than 5 mins). They not only solved my issue but then completed my check-in for me and put me on the upgrade list. 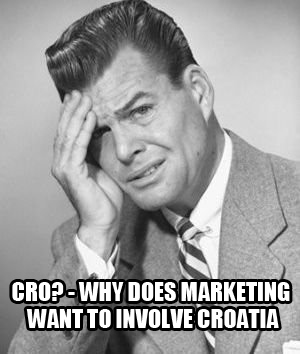 Now what does this have to do with CRO. Simple, by optimising their social media and customer service they have made a life long fan out of me. I tweeted my thanks and gave them a shot out to my thousands of followers and now I have written this blog article about my experience. That kind of free press is invaluable and for an industry where there is so much bad press about customer service it was a very welcome surprise. CRO down not stop on site, neither does customer service. it must expand across all point of contact for your business. If not people love to complain and social media and review sites have made it easier than ever to leave negative feedback. So the choice is yours how you want users to remember and communicate their experience.